Film maker Peter Wier is probable best known for movies such as Dead Poets Society and the Truman Show. However, back in the 1970’s in my native Australia I recall seeing an earlier, somewhat apocalyptic, Peter Wier film called The Last Wave. The catchphrase for that film was “hasn’t the weather been strange lately”. time around things were little different. 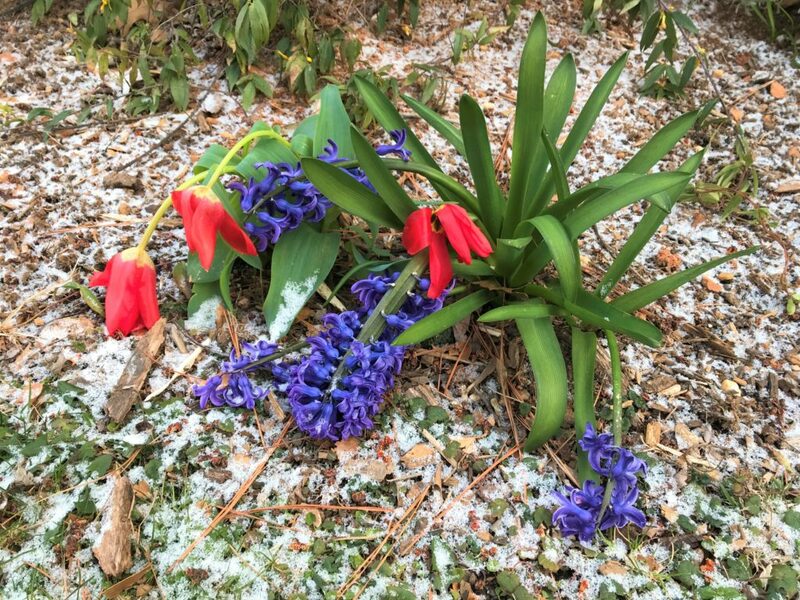 In February we had early spring-like sunshine and temperatures in the mid 70s while in late March our hyacinths and tulips popped up only to be beaten down by a light (but not particularly welcome) late snowfall. For a while it looked like we would have to invent a name for this new hybrid season. We came up with “Wing” and “Sprinter” and when we polled our guests the latter became the preferred choice. I’m happy to say, however, that we don’t need the new season name anymore. A proper Spring seems to have finally arrived in the mountains. Our Honeysuckle and Dogwood are now in bloom. Our perennials are starting to poke through, and our flower beds have been newly mulched ready for the traditional Mother’s Day spring planting. 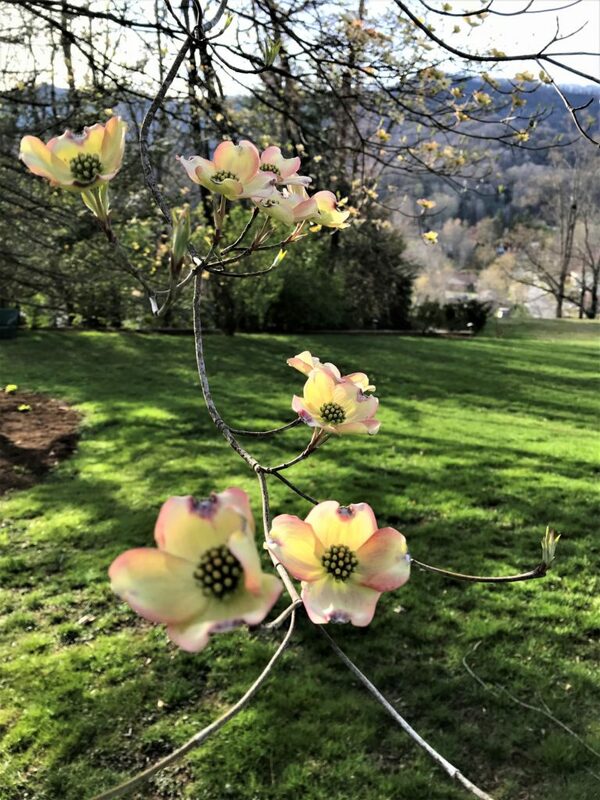 Beyond the Inn, Russ Avenue’s cherry trees profuse blossoms bring Sakura time in Kyoto to mind, and in the Smoky Mountains the wildflowers are starting to come into their own. 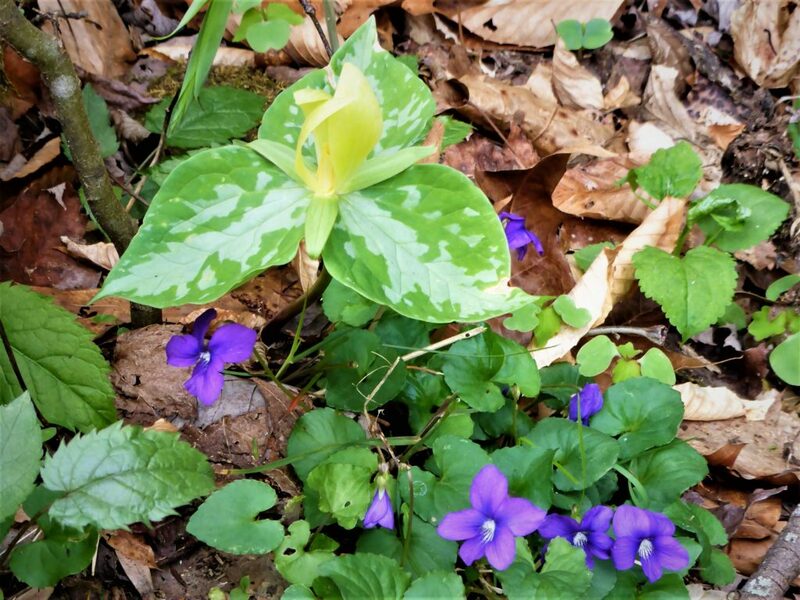 In fact we went on a short, pleasant hike to Mouse Creek Falls just last week and were greeted by a carpet of Yellow Trilliums and Blue Violets along the trail as well as the new green growth on the forest floor and in the trees. 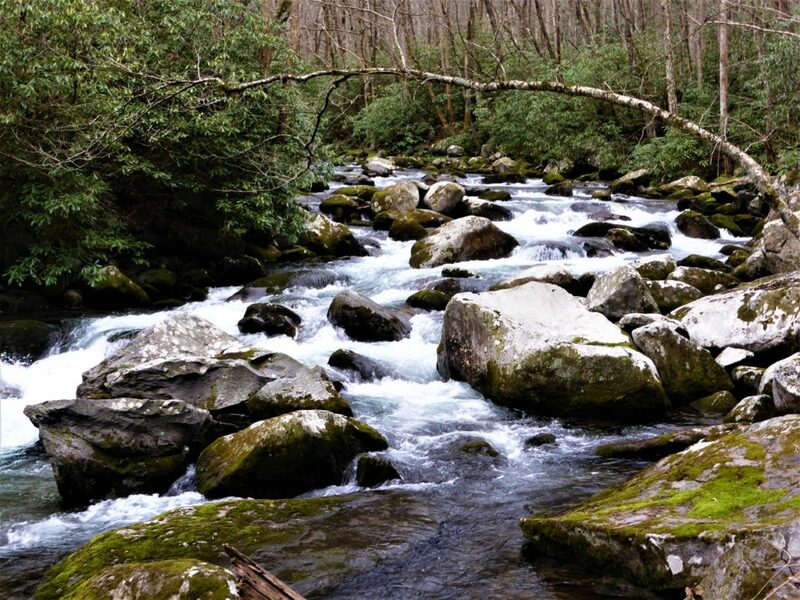 Spring is a truly wonderful time to stay at the Andon-Reid Inn and experience Mother Nature coming back to life. The weather is mild and generally sunny with cool evenings. The town and its restaurants are less crowded – and our nightly rates are a little lower too. We’d love to see you here to share the season with you. Call us or book directly on our website… and remember our price match guarantee… if you spot a bona-fide lower rate for our rooms elsewhere on the internet call and let us know and we’ll do our best to match or beat it. This entry was posted in Mother Nature, Out and About by admin. Bookmark the permalink.